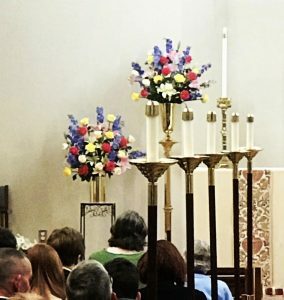 Each week, the beautiful flowers adorning the altar in the church are given in memory of departed family members or in honor of friends or family members who are living. Many choose to give flowers in recognition or thanksgiving for some special occasion in their life. We provide vases for the flowers. After Sunday morning, these flowers remain in the church for services on Wednesday evening. Arrangements for flowers are made through the Parish Office. The Chapel works with a local florist to simplify the process. To sign up to provide Altar Flowers, provide the altar flowers, you may sign up here for 2018. Please make sure to provide the memorial information for the Parish Notes. Contact Jenny Carter, Parish Administrator. We encourage members to grow spiritually in the church by actively assisting in the worship of God during the Sunday services and at other special services. Adults and youth from second grade through high school age are encouraged to serve at the altar in a variety of ways. Those who serve at the Altar perform a variety of duties based on their interest and training. 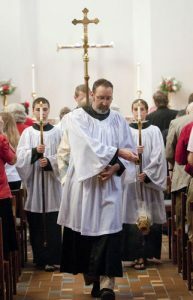 A Crucifer carries the cross in procession during the service. Torch Bearers carry torches (or lighted candles) in procession during the service. 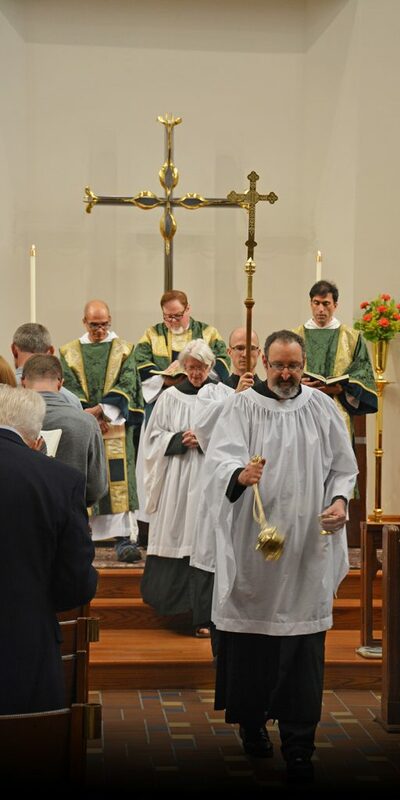 A Thurifer leads the procession carrying a thurible filled with incense. Torch Bearers are trained by Steve Vaughan. Crucifers, Torch Bearers, and Thurifers are trained by the Reverend Sean Ferrell. Eucharistic Ministers serve in several ways. Their primary role is to assist by serving the chalice of wine as Holy Communion is served. They wear vestments, lead the Prayers of the People, sit in the chancel, administer the wine and assist the clergy. 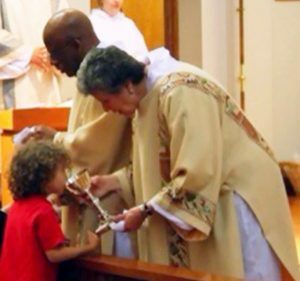 A Eucharistic Visitor takes Holy Communion after corporate worship to the sick and shut-in who are unable to attend worship. A Server prepares materials for the altar party, lights candles, marks books, sets the table during the Eucharist, and serves as an extra pair of hands on deck. 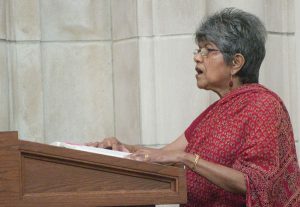 Each week, the Chapel’s sacristans prepare for our worship together. Sacristans prepare the altar for worship and care for our communion vessels, linens, candles, and vestments. Sacristans provide this service throughout the year and help arrangements for the special seasons of Lent, Easter, Advent, and Christmas. Our ushers are the face of welcome at The Chapel. Ushers are often the first to meet and greet those who are new. They distribute leaflets, assist when issues arise during a service, deliver the offerings of bread, wine, and money to the altar, and help our clergy ensure that the service runs well.